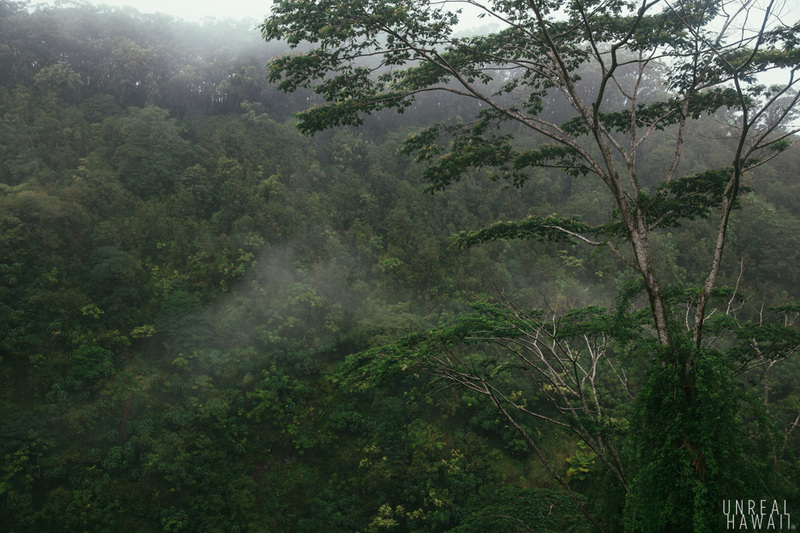 Tucked away in valley on the east side of Hawaii Island (that’s Hawaii’s Big Island) is this rainforest. 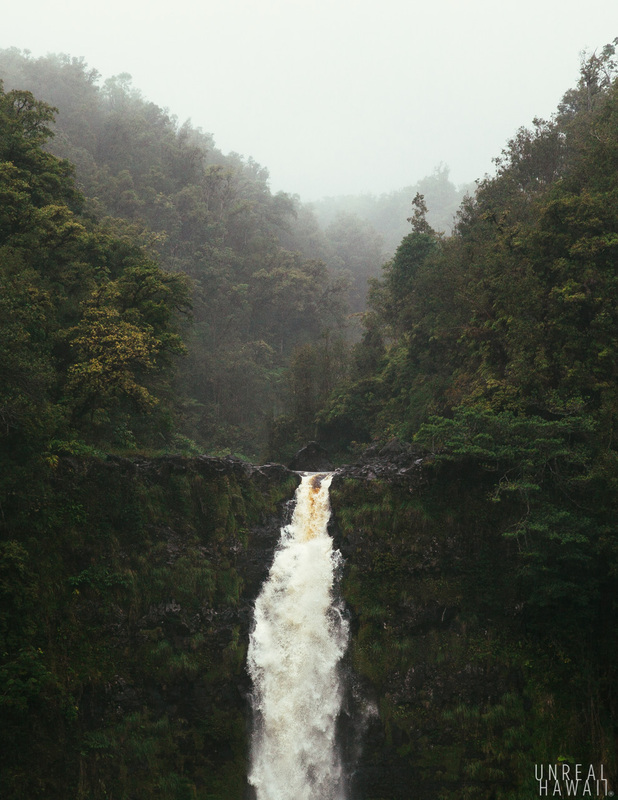 Kolekole Stream runs through this valley and feeds one of the most picturesque waterfalls in Hawaii. 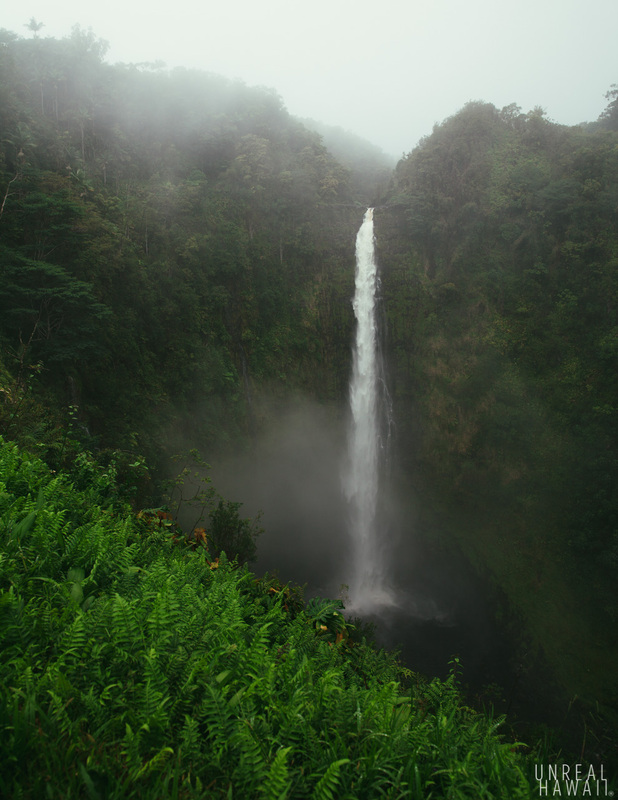 This is the famous Akaka Falls. This thing is huge. It’s a towering 442 foot drop of raging water. 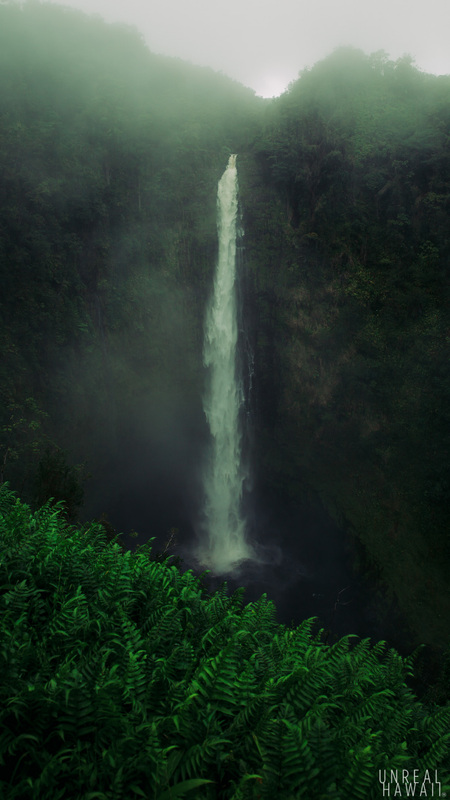 Some waterfalls in Hawaii only appear when it rains, some kind of just sheet down the side of a mountain, but Akaka Falls is a thick column of water that always seems to have a strong flow. That’s what makes this one unique and in person, this thing is impressive. 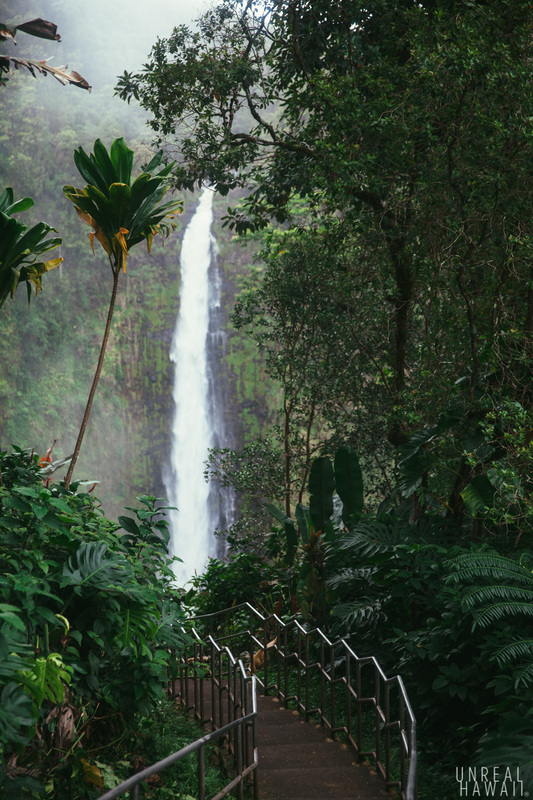 Besides the power and beauty of it all, the other great thing about Akaka Falls is that it’s super accessible. 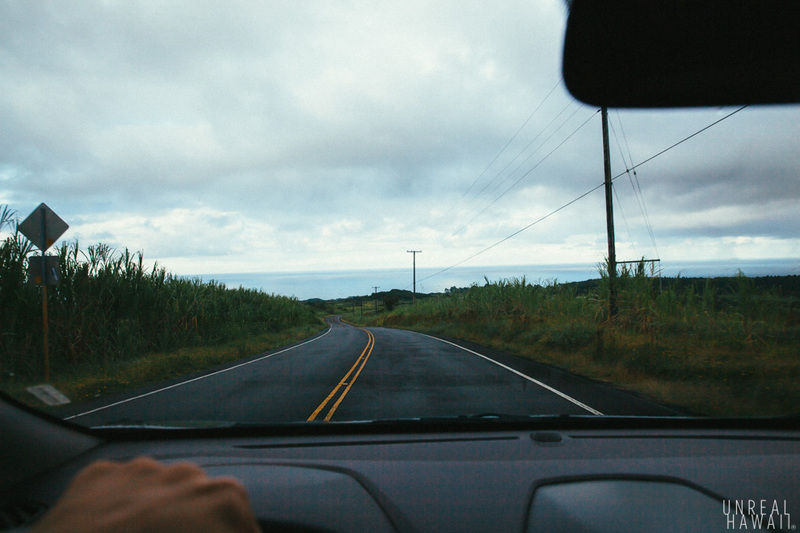 If you’re staying in Hilo like I was, the drive up here is easy. It’s just 11 miles up the coast. You’ll be driving up what appears to be mostly farmland. 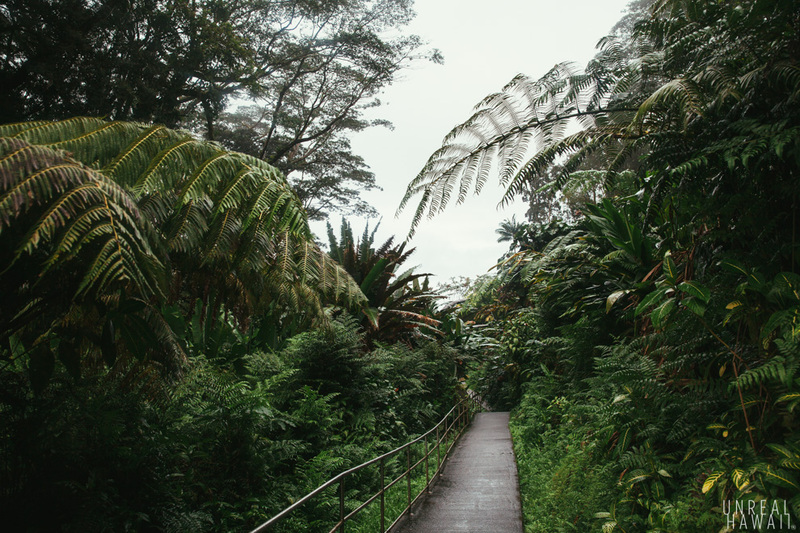 It doesn’t seem like you’re going in the right direction because you won’t see much rainforest around you. 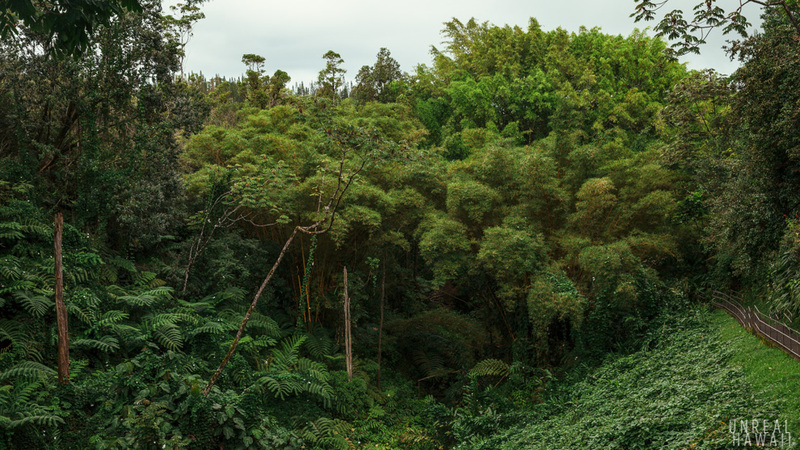 But if you follow the directions from your phone’s map app, you’ll end up here at Akaka Falls State Park. 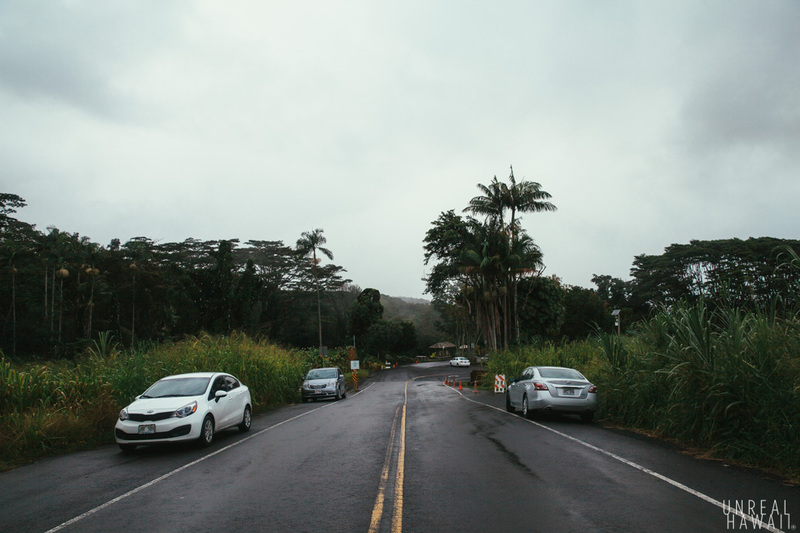 You can park along the road or in the parking lot for a nominal fee. This isn’t really a hike as the path is entirely paved. There are steps involved. It’s set up so that almost anyone can do it. If you feel like taking a stroll, you might as well take the Circle Route that’s just under half a mile. 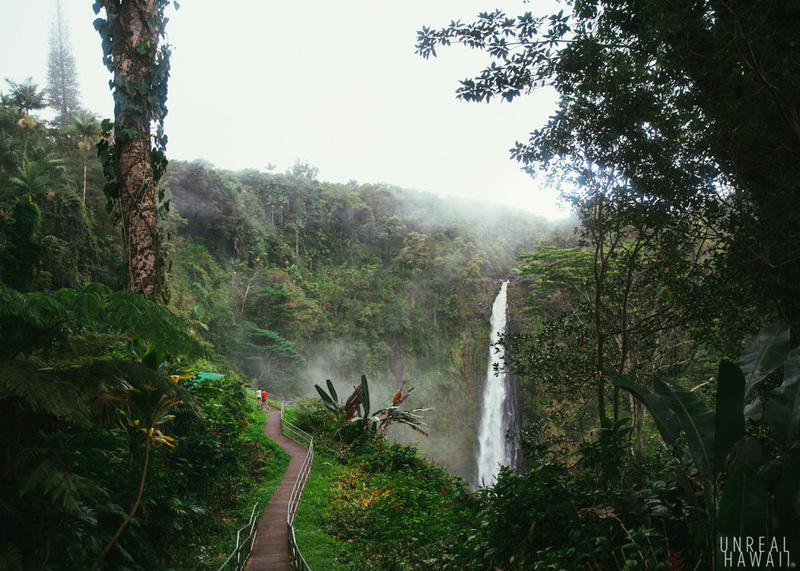 You get a sneak peek of Akaka Falls right from the get go. 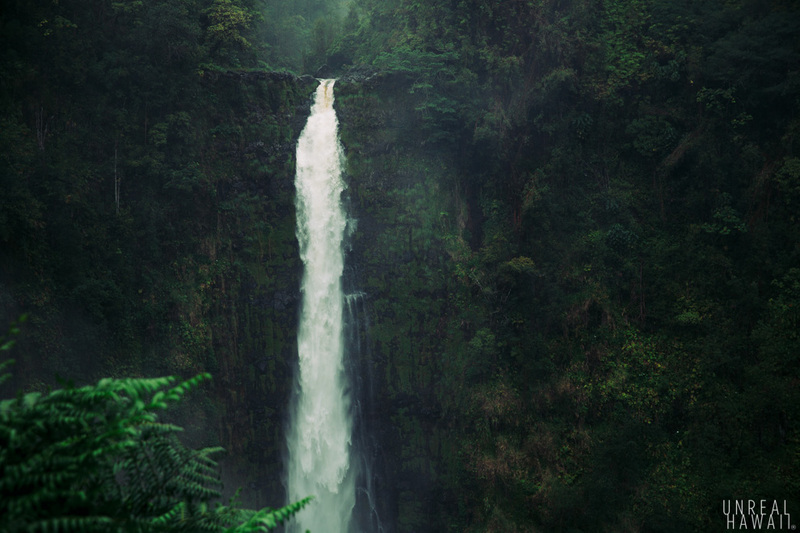 The lush and varied vegetation surrounding this waterfall is unreal. 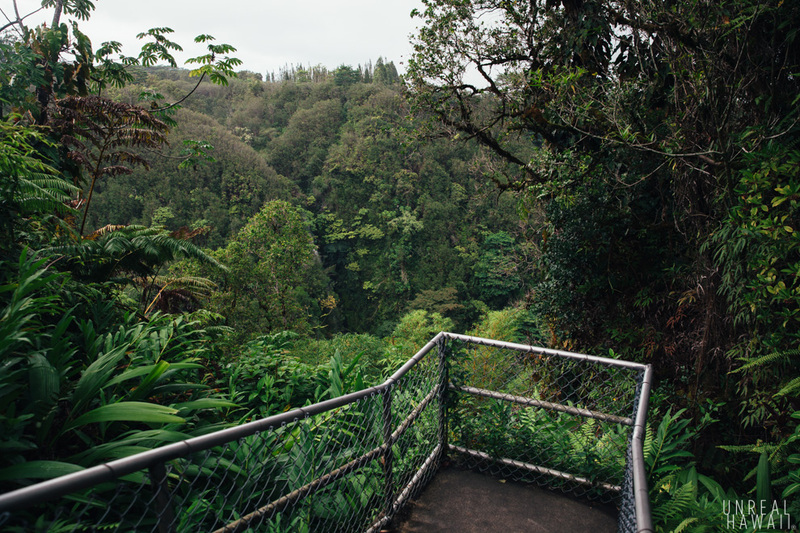 Before you get to Akaka Falls, you’re first provided with a viewing platform for Kahuna Falls. 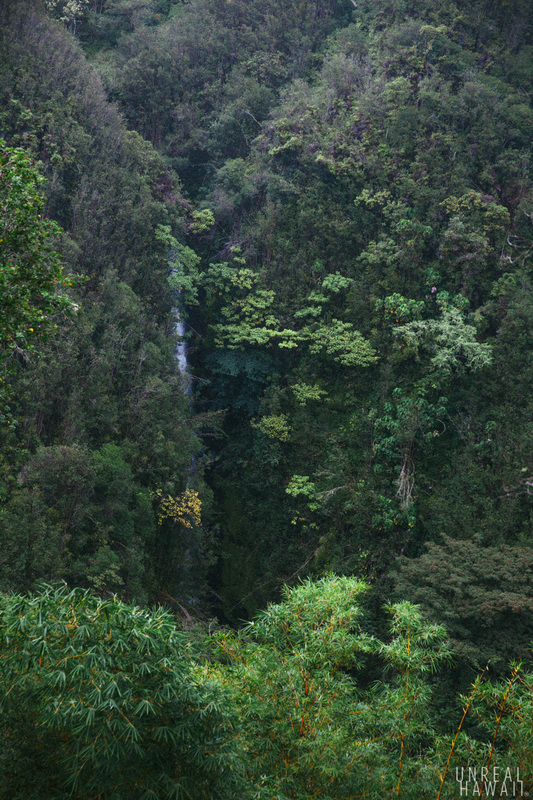 Kahuna Falls is also fed by Kolekole Stream. You don’t best angle from here but you can tell that the thing is tall. 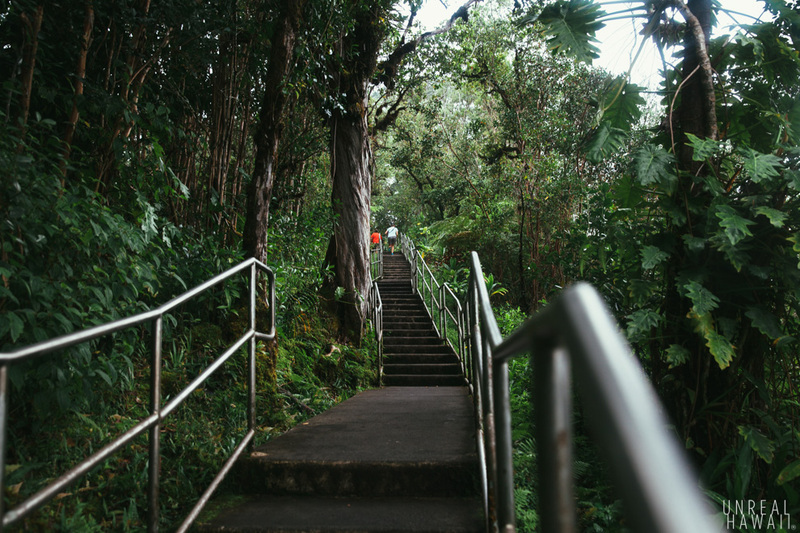 You’ll then walk up a few flights of steps. 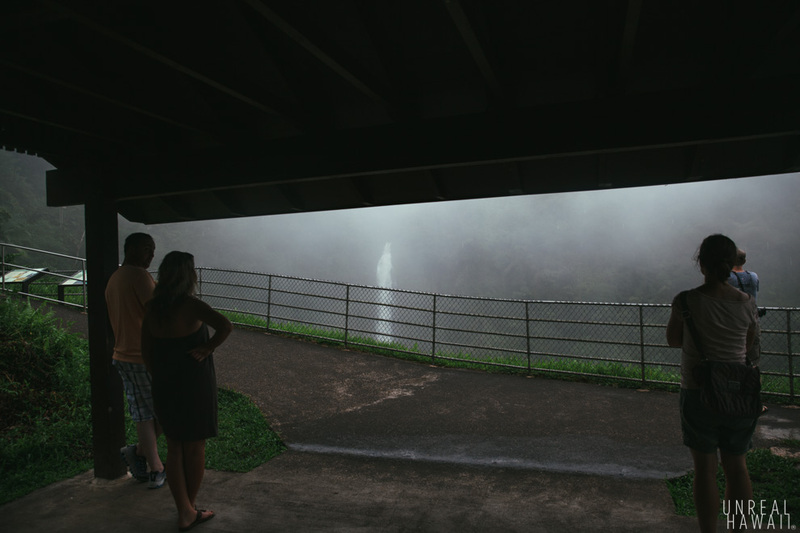 Then walk down and Akaka Falls comes into view. Notice the visibility here, pretty clear right? Now I’ve taken just a few more steps forward to shoot more photos and get this composition. Those people in the photo are at the main viewing area. Again, notice the visibility. Nice and clear with just a few hints of mist rolling in. Okay check this out though, by the time I made it down to the main viewing platform, we were totally socked in. 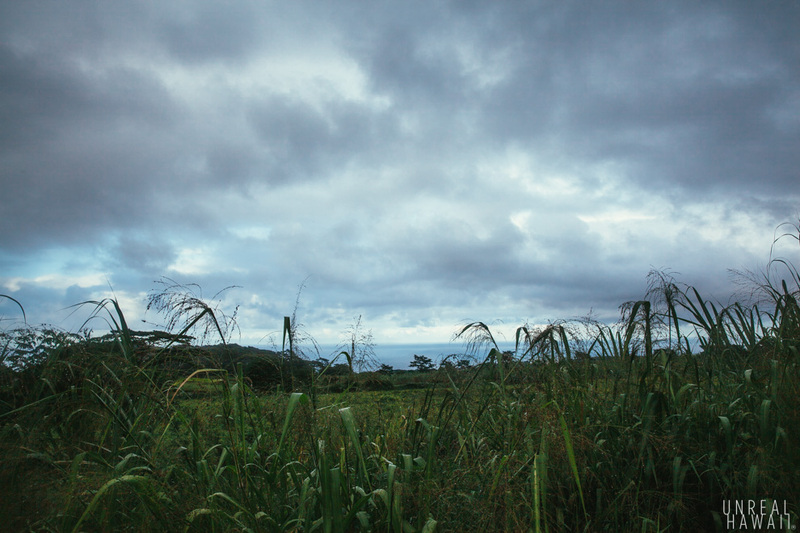 Weather conditions change rapidly on this side of the island. 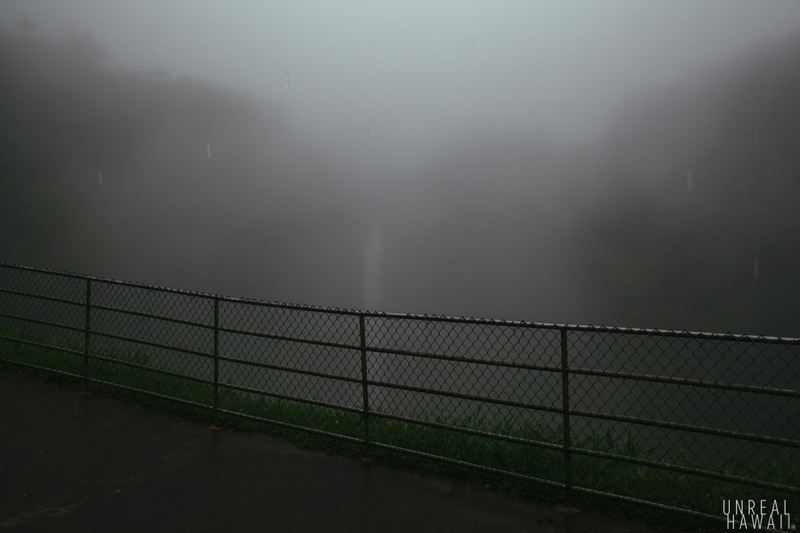 And because we’re in a valley, when it rains, mist can get stuck in here and shroud the view of the falls. 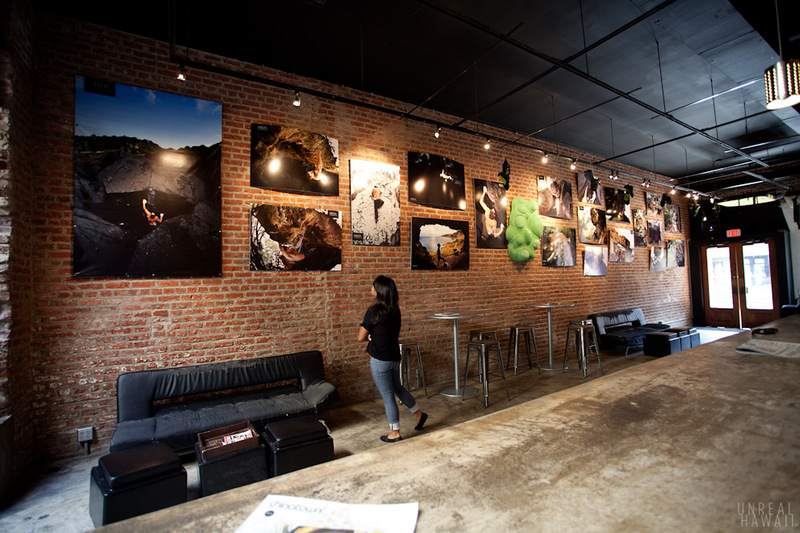 You’ll want to bring a rain jacket when you come here. But just as rain and mist quickly roll in, so too do they roll out. And while you wait, you can read this sign. I normally don’t have the patience to read signs like these but since it was raining I figured, what the heck. Remember how before there were smart phones you used to read the back of the cereal box while you were eating cereal? They would have all these random facts on there and you would reread it over and over every time you ate a bowl. This sign reminded me of that for some reason. You can tell it rains a lot over here because there’s a roof for you to wait under while the rain passes. And after about 15 minutes, sure enough, the view started to cleared up. 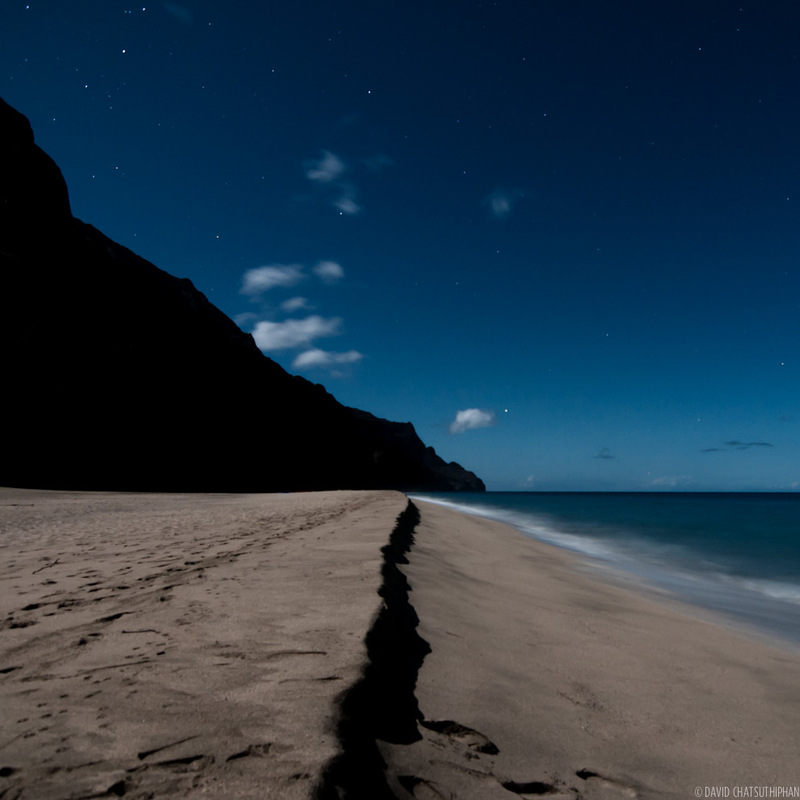 Eventually you could see the mist thin out and float out towards the ocean. And now I got to see Akaka Falls up close (sort of) and in full view. The energy in the pool at the bottom must be immense. 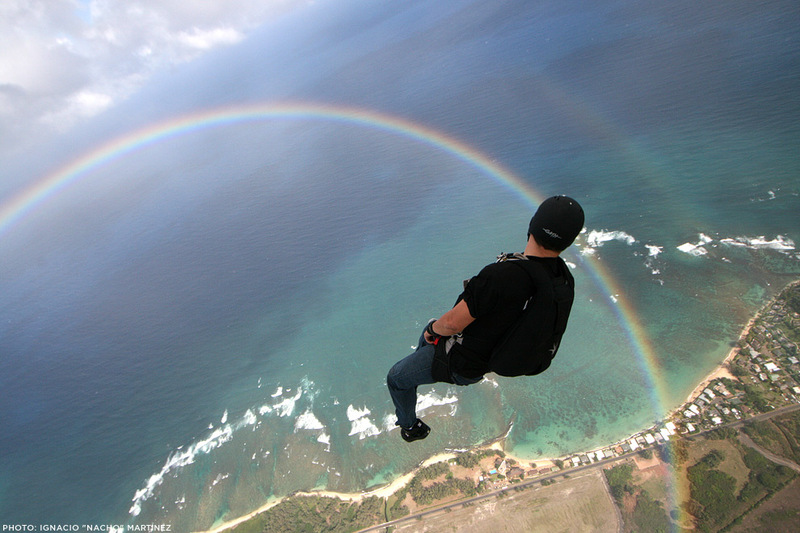 I wondered what it would feel like to stand on the ledge at the top and look down. 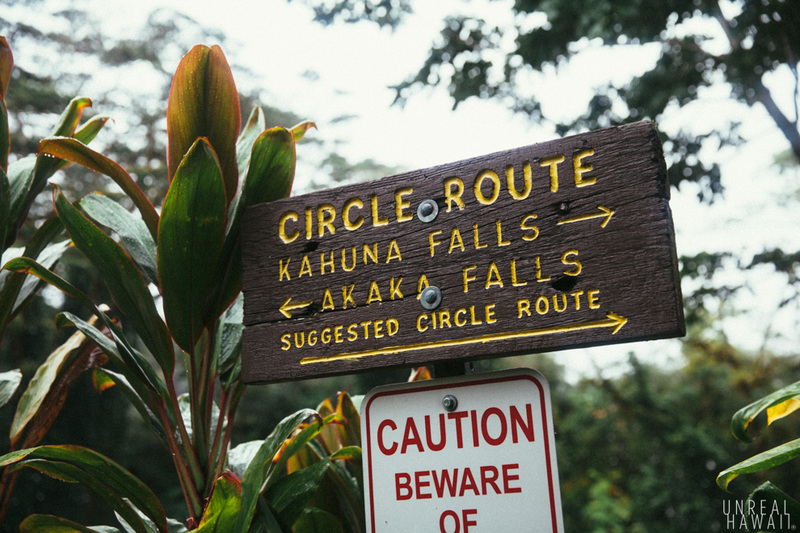 After taking about a hundred photos of Akaka Falls that all look the same, I proceeded along the Circle Route and out of the park. From the street, you can see just how close the ocean is to the falls. 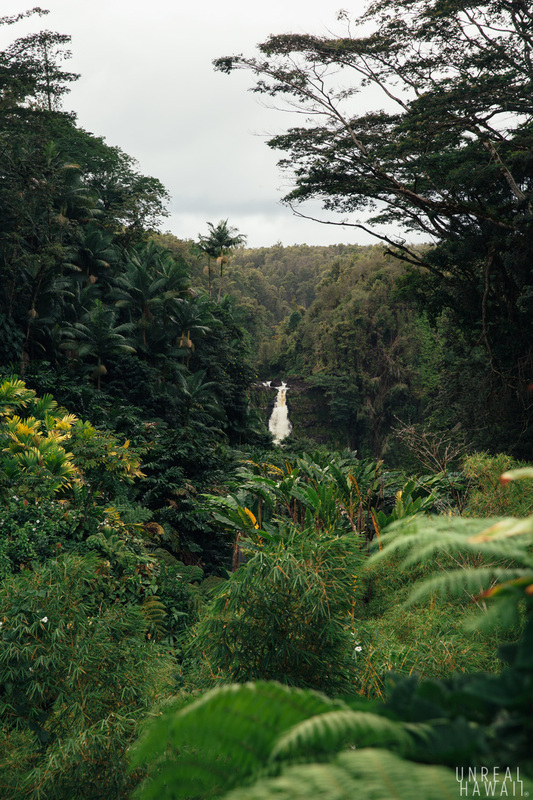 Kolekole Stream, that Akaka Falls is part of, empties out into the ocean 2.5 miles past the falls. And now some science. This sign about a fish is worth reading. I saw a video about this fish on the Discovery Channel once. This fish starts its life in the ocean. Then at some point it swims up the stream and climbs the entire 442 feet of Akaka Falls to lay eggs in the stream above. So a 5-inch fish climbs 442 feet up the side of a waterfall using it’s mouth as a suction cup. 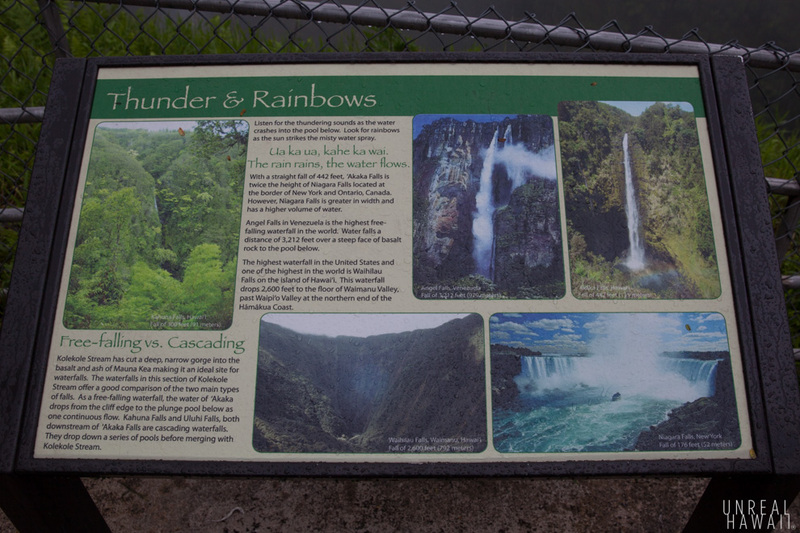 But then once its eggs hatch the larvae get flushed back down the 442 foot Akaka Falls and out to the ocean. I can’t decide if this is the most awesome fish I’ve ever heard of or the dumbest fish I’ve ever heard. But what I know is, it sure is interesting. I pondered the plight of that fish as I drove back to Hilo. 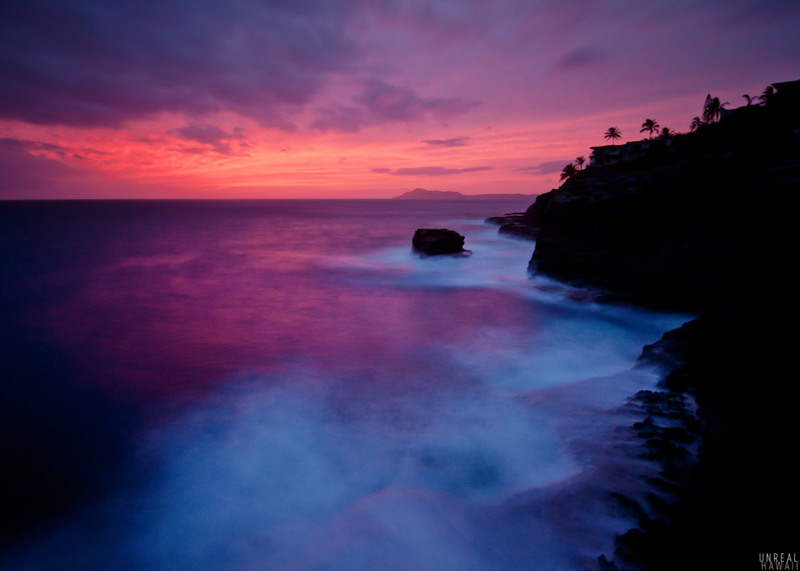 I wondered if we were all little fish working our way up the gigantic waterfall of life. 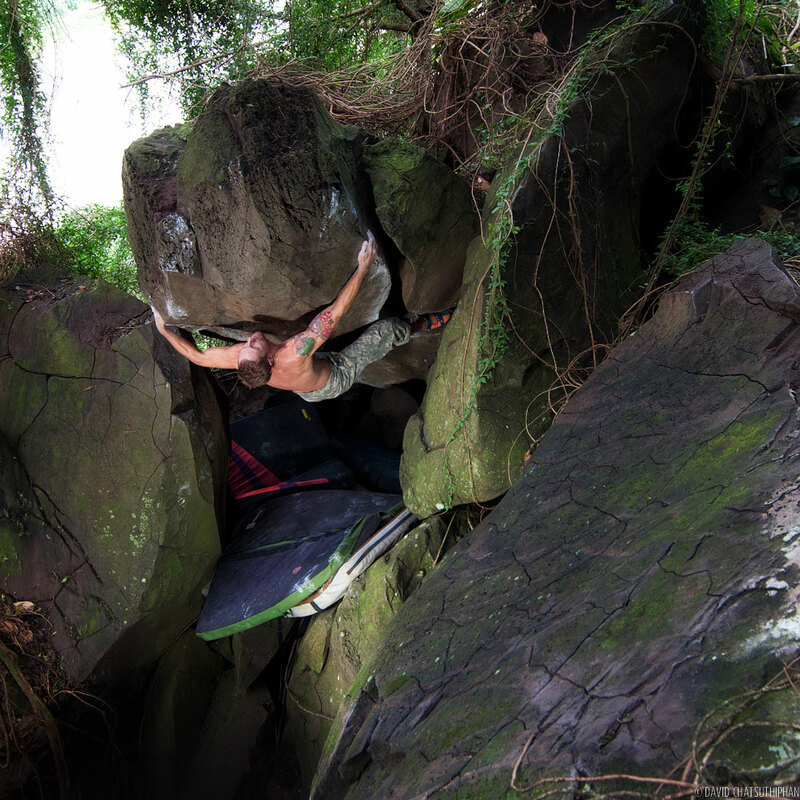 And maybe some of us have yet to find our waterfall to climb. Know what I mean? … Hello? 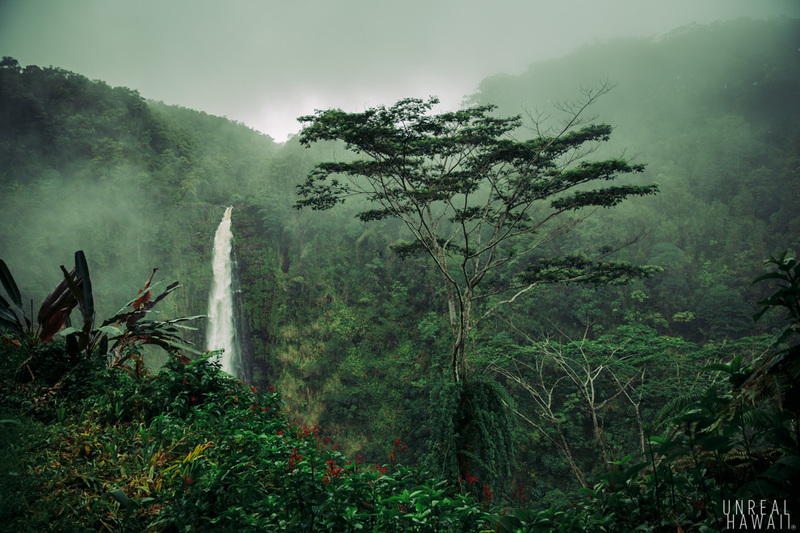 Akaka Falls on the World Waterfall Database. 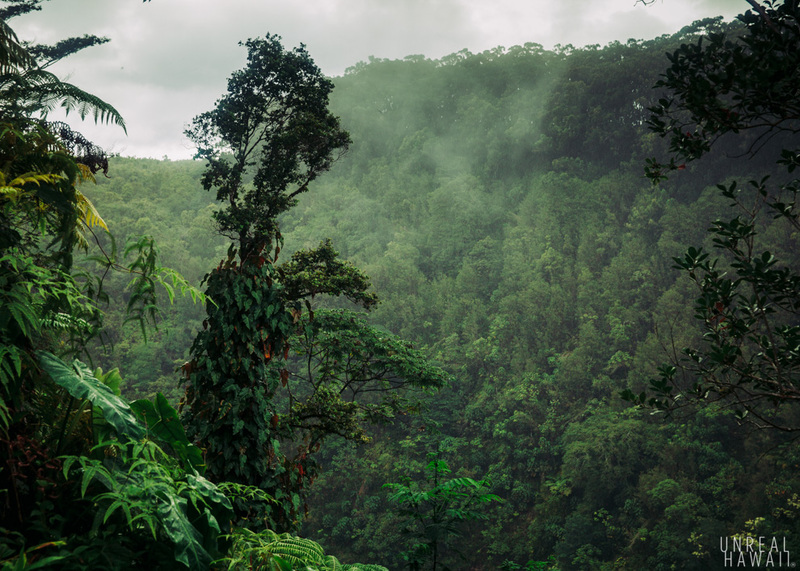 Official page for Akaka Falls State Park on Hawaii State Parks website. 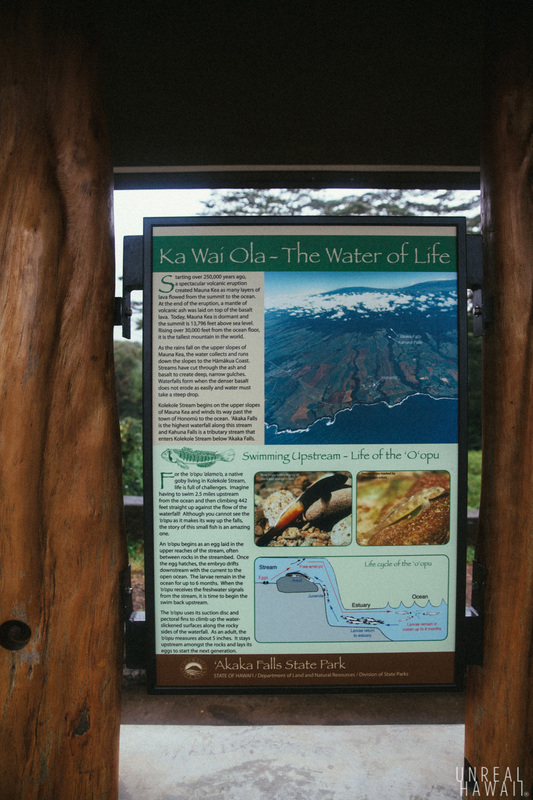 More info on Akaka Falls State Park on GoHawaii.com. 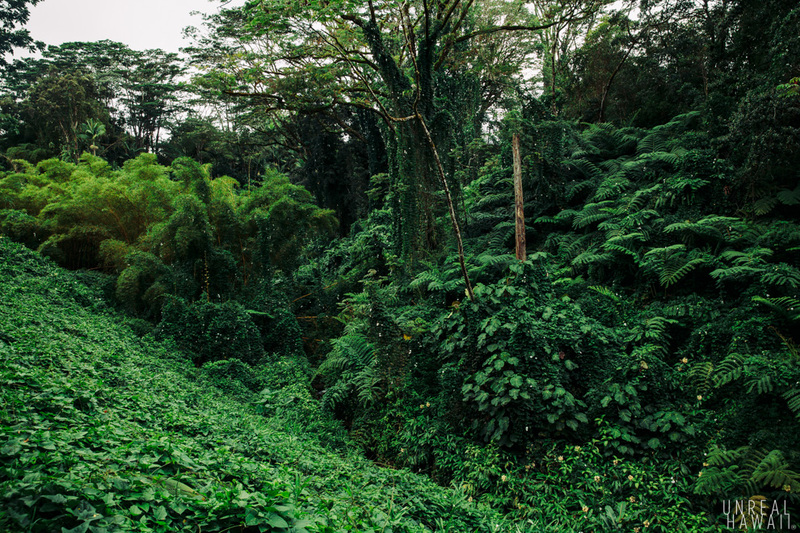 Read reviews for Akaka Falls State Park on TripAdvisor.com.